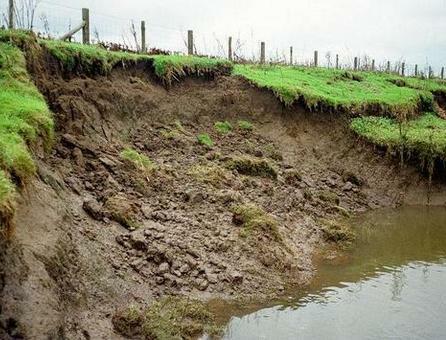 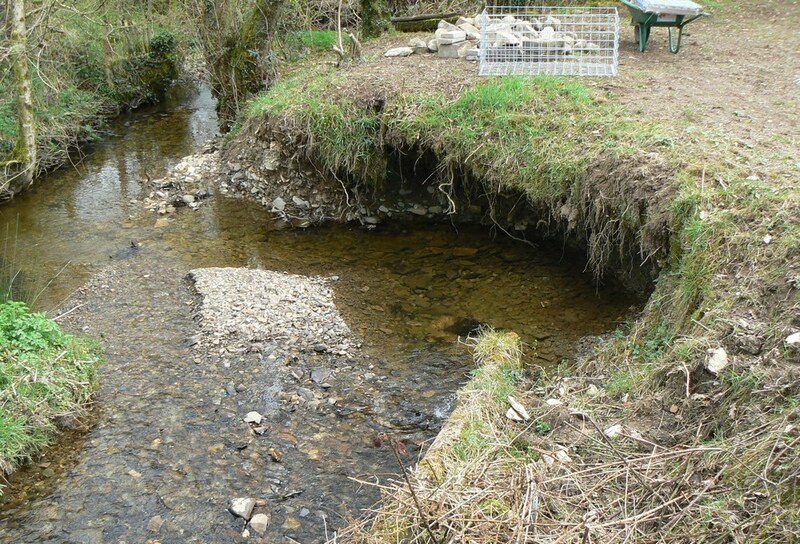 Semi flexible building blocks for channel stabilisation. 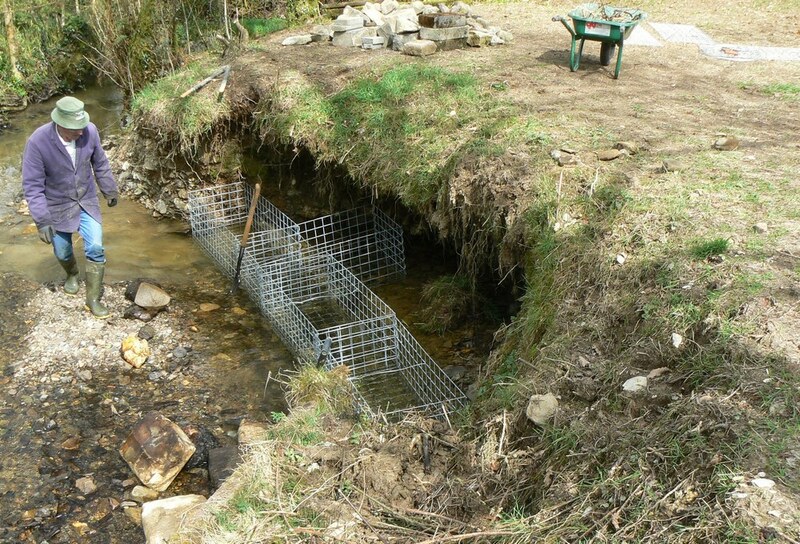 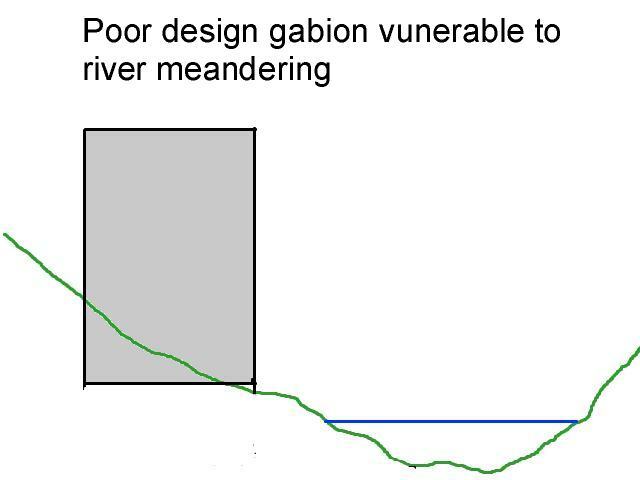 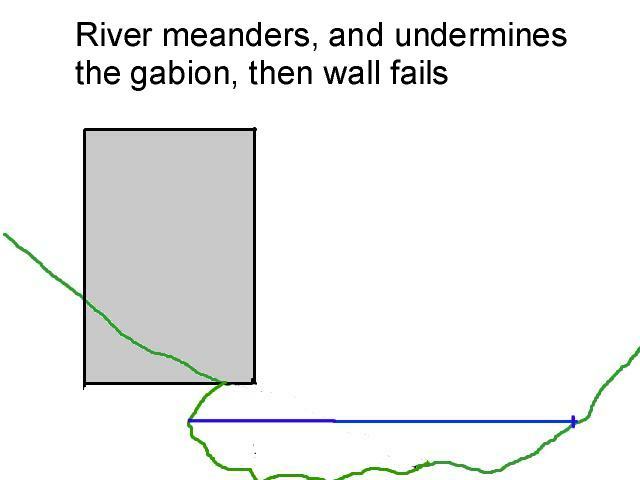 Gabion baskets placed on the outside of the river bend to prevent river bank erosion during floods. 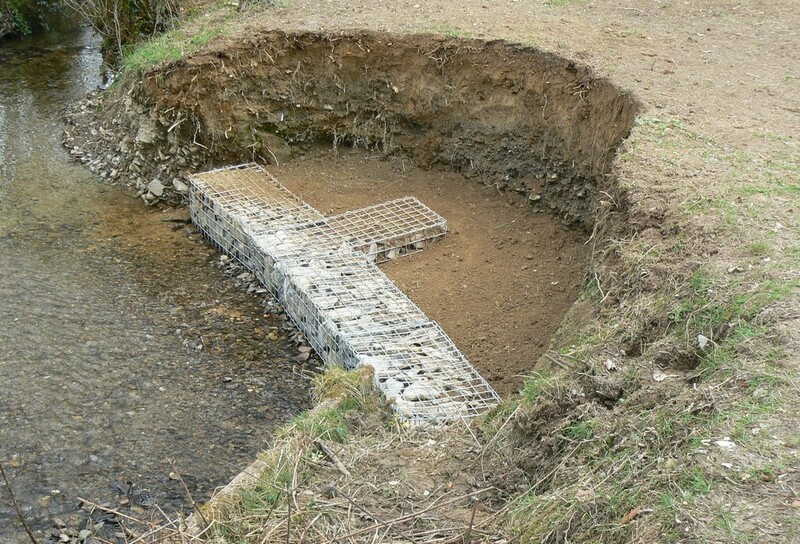 Geotech filter fabric is placed behind and underneath the gabion baskets to prevent the movement of soil material through the gabions. 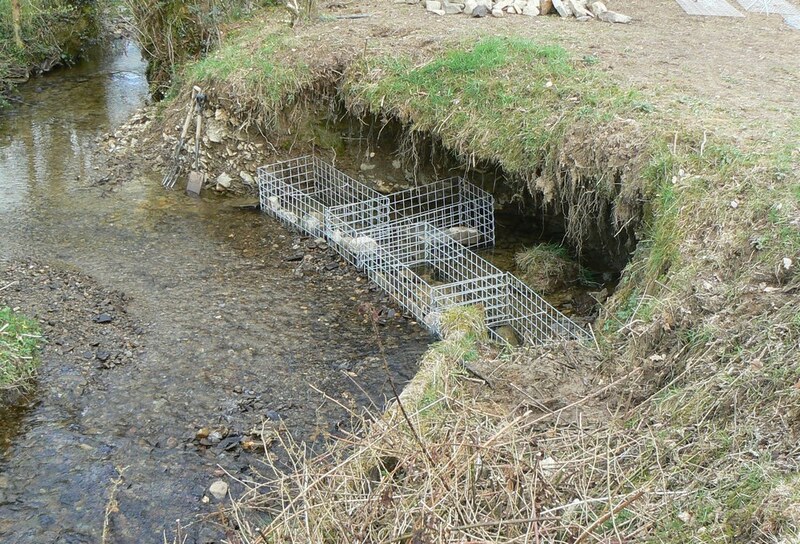 Gabion baskets placed on the outside of the river bend to prevent river bank erosion during floods. 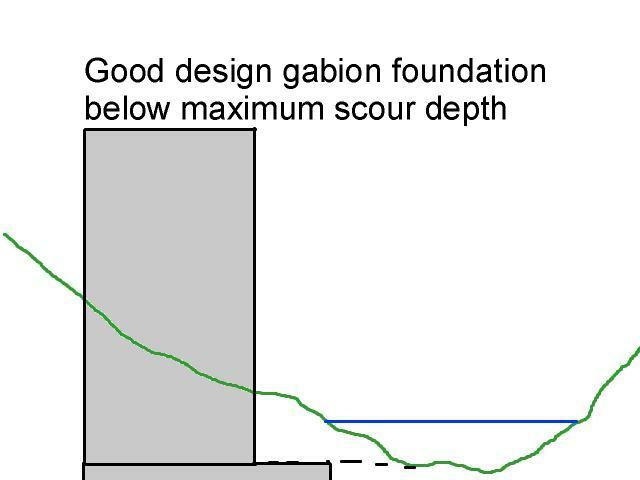 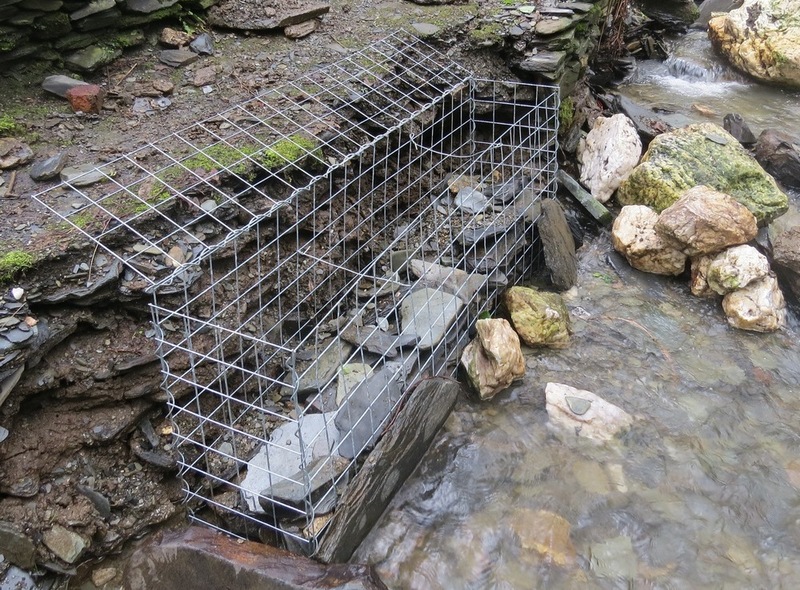 Geotech filter fabric needs to be placed behind and underneath the gabion baskets to prevent the movement of soil material through the gabions. 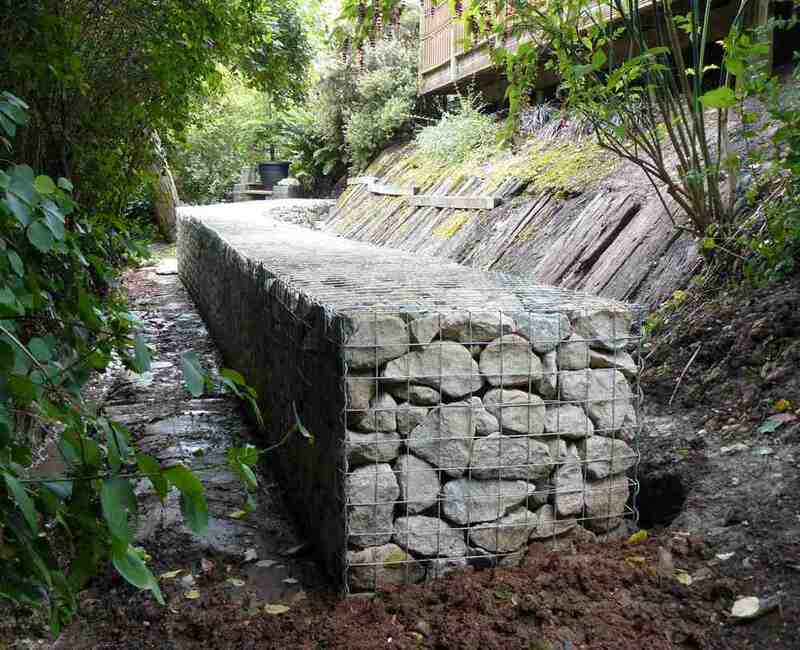 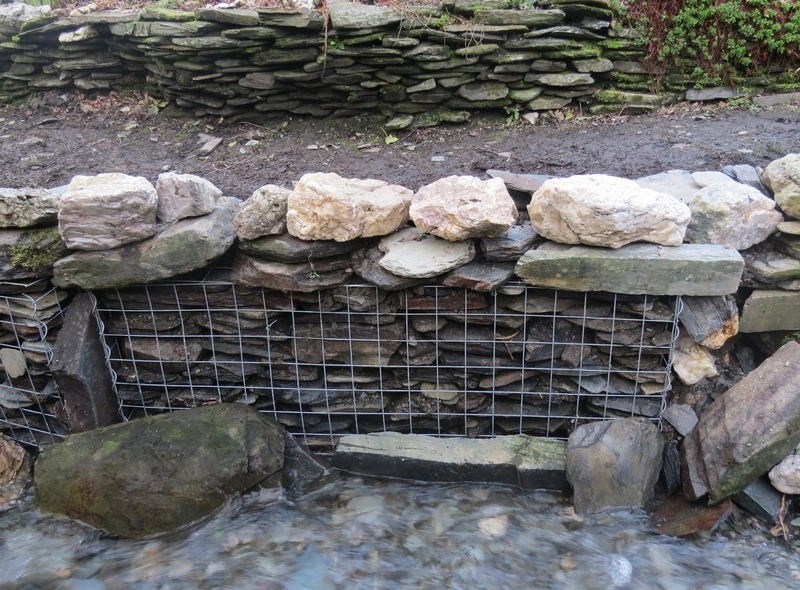 Gabion baskets filled using rocks from the river. 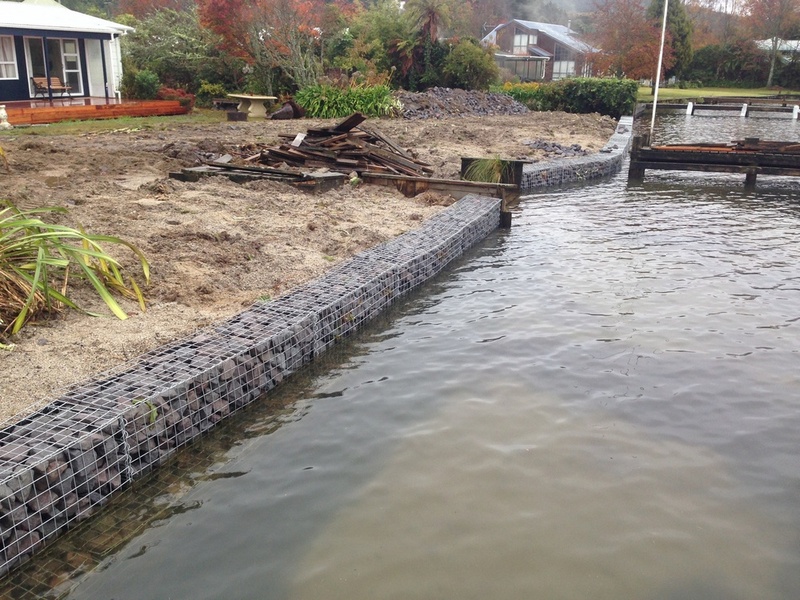 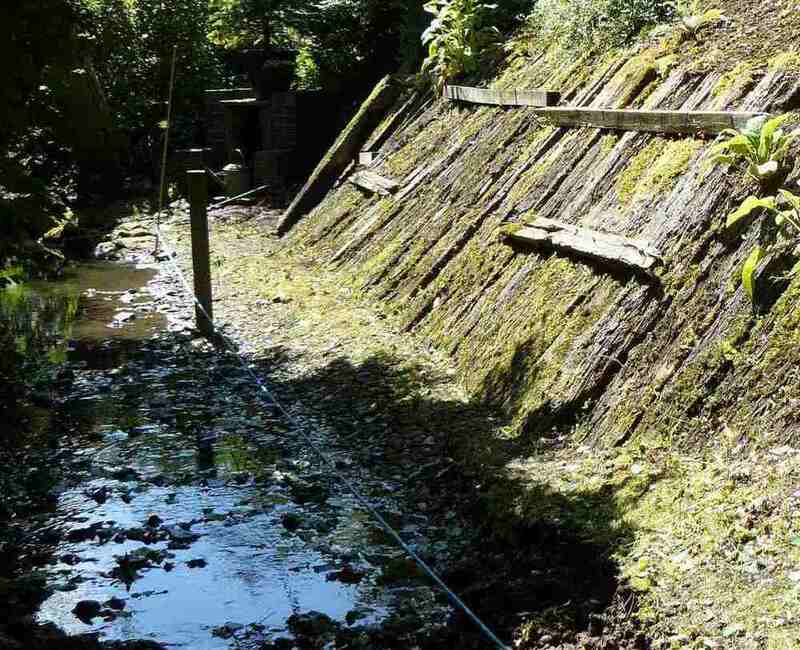 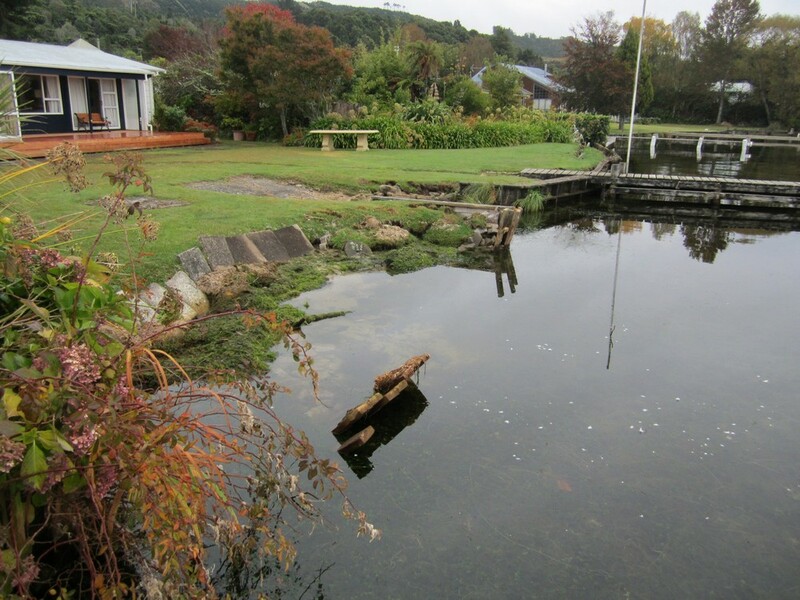 Further gabions and landscaping required to complete the repair.